Sleep is the natural state of bodily rest, common to all mammals and birds and also seen in many reptiles, amphibians and fish. For most species, regular sleep is essential for survival, yet the specific purposes of sleep are still only partly clear and are the subject of intense research. 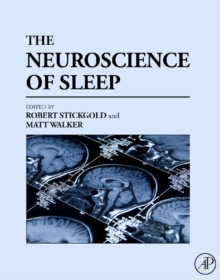 This volume is comprised of the editors' selection of the most relevant articles on sleep from the Encyclopedia of Neuroscience, resulting in the first comprehensive collection of introductory articles on the neuroscience of sleep. Articles explore sleep's impact on neural functioning, sleep disorders, the relation between sleep and other clinical disorders, a look at sleep from a developmental perspective, and more.